Recognised for “a life-long career dedicated to encouraging Spanish and international sport”. 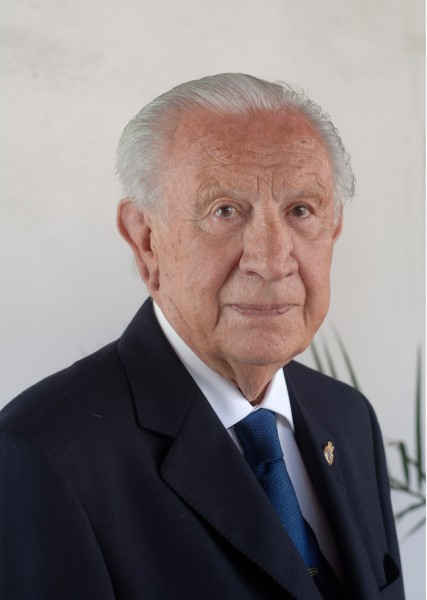 The Jury decided unanimously to grant this award to Juan Antonio Samaranch, for “a life-long career dedicated to encouraging Spanish and international sport, especially in an Olympic year in which he managed to overcome enormous difficulties to maintain the universality of the Olympics”, as the minutes of the jury declared on 8th April 1988. The Jury was presided over by Javier Gómez Navarro and made up of Sagrario Aguado; Francisco Fernández Ochoa; Carlos Ferrer Salat; Pascual Maragall; Herminio Menéndez; Beltrán Osorio y Díez de Rivera, duque de Alburquerque; Matías Prats Cañete; Luis Puig; Pedro Sust and Antonio Masip Hidalgo acting as secretary. The Award was presented on 15th October at a grand ceremony, chaired by H.R.H. the Prince of Asturias. H.R.H. Phillip of Edinburgh, president of the World Wide Fund for Nature; the former President of the Republic of Costa Rica, Óscar Arias; the writer Carmen Martín Gaite; the President of the Foundation, Plácido Arango; and H.R.H. Don Felipe de Borbón pronounced their speeches at the ceremony.